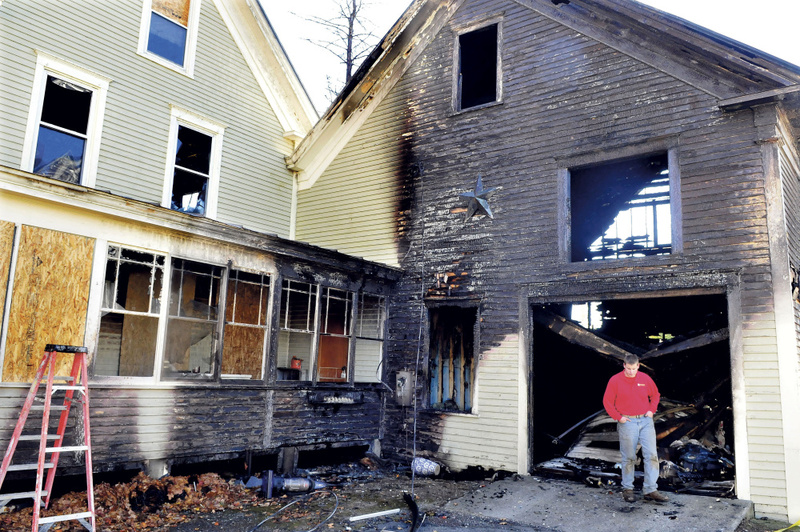 The fire Sunday on Meadow Street destroyed the barn in which the car was parked as well as doing extensive damage to the attached house. A fire that destroyed a house and barn Sunday in Bingham was caused by a car parked in the barn, according to the Office of the State Fire Marshal. Grimes said he did not know what kind of car it was, just that it was a four-door sedan and was destroyed. Engine compartments of cars “don’t normally ignite unless there’s some sort of electrical or mechanical issue,” he added. 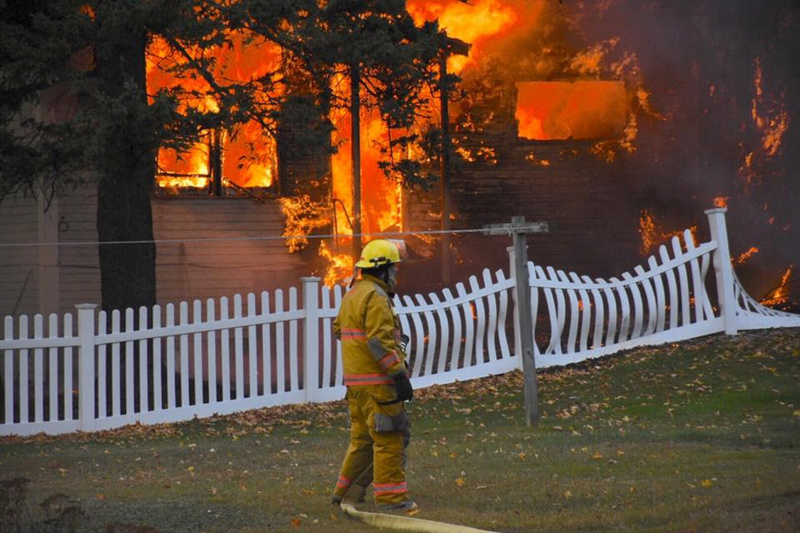 The fire was reported around 4 p.m. Sunday at 9 Meadow St. 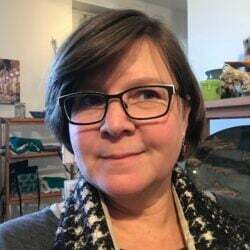 The home belonged to Jim and Patricia Bryant, who had just moved to the area from California with their two grown children. 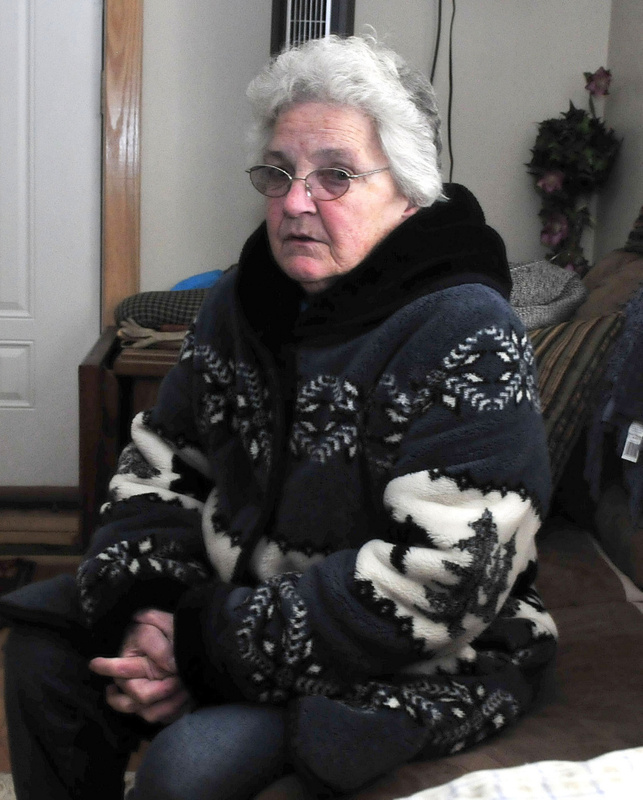 The family lost almost all of their belongings and their two dogs, Muffin and Posie, in the fire. 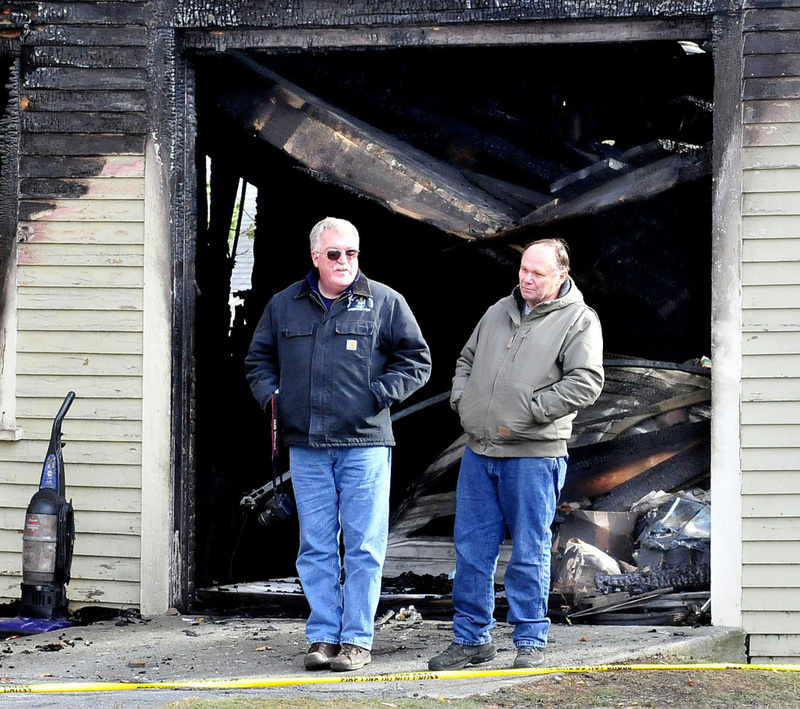 The family had left the house shortly before the fire, and Jim Bryant said Monday that they walked through the garage on their way out of the house and nothing seemed amiss. 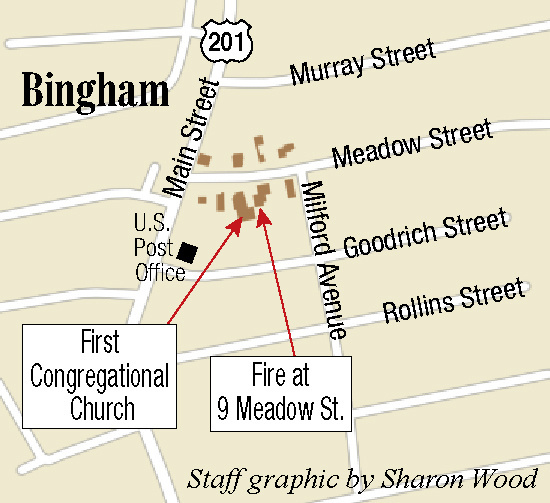 The First Congregational Church, next door to the Bryant’s house, was damaged in the fire, but the Fire Department limited the damage mostly to melted siding. 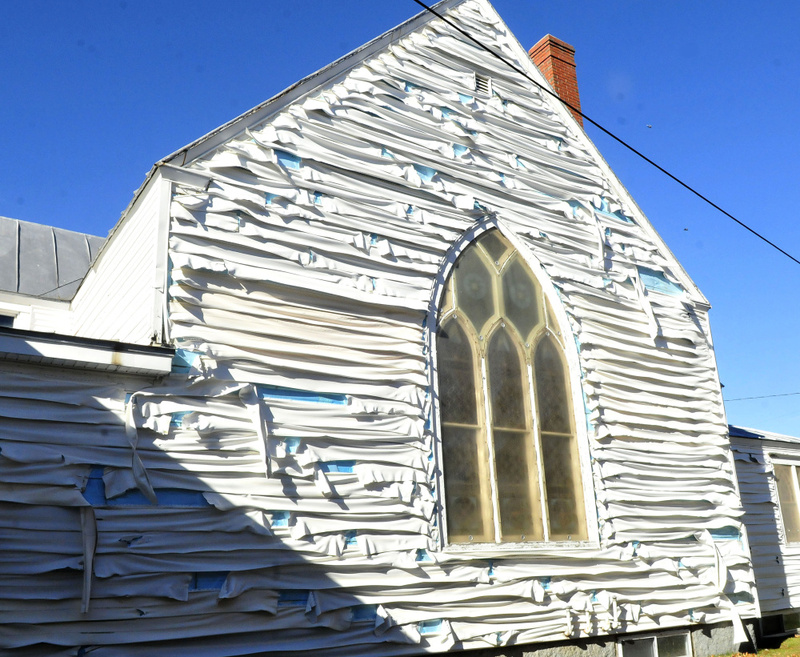 No information was available immediately about the cost of repairing the church damage.